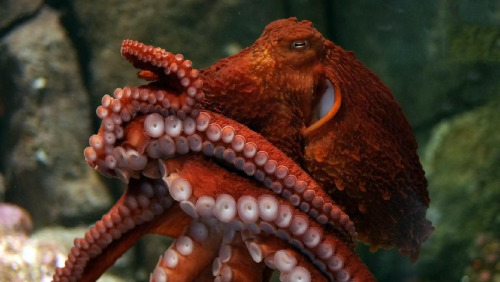 March 2, 2017 /30 Comments/in Featured Articles, Jewish Writing on Anti-Semitism /by Andrew Joyce, Ph.D.
Octopuses can sometimes engage in self-cannibalism, eating their own arms in what is thought to be a stress reaction. What initially begins as a nervous biting of one’s own limbs, descends into frenzy, as bacteria take hold in the resultant wounds. As the infection spreads, and the stress levels increase, the octopus savages its own arms at a rate faster than it can heal, or grow new limbs. Survival in such instances is rare. There is only a terminal fate for a cephalopod in which such behavior has firmly taken hold. The last few weeks have witnessed a couple of important instances in which the memes of ‘privilege,’ racism, and anti-Semitism, the chief intellectual harpoons forged to pierce the White behemoth, have been turned inward on those largely behind their construction. Very recently, England’s Bristol University has been caught up in a scandal after it emerged that one of its lecturers, Dr Rebecca Gould, who is almost certainly both Jewish and a ‘progressive,’ penned an article for CounterPunch in 2011 in which she argued that “Jews should stop privileging the Holocaust.” Given that such an argument simultaneously infringes upon several taboos, and thus casts Dr Gould into the nebulous category of a ‘self-hating Jew,’ it is a miracle that her career has managed to progress uninhibited for the last six years. Apparently the piece was only brought to light, and subjected to ‘social justice’ action, after one of her undergraduate students unearthed it and initialized a campaign against her. Never one to miss an opportunity to earn some brownie points with the Jewish community, Pickles has rushed to attack Miss Gould with all the vigor one would expect from the obsequious politician. In particular, Pickles has accused Gould of using the “language of Holocaust denial,” insisting that the case is “one of the worst cases of Holocaust denial” he has seen in recent years, and adding that Gould should “consider her position” at the university. 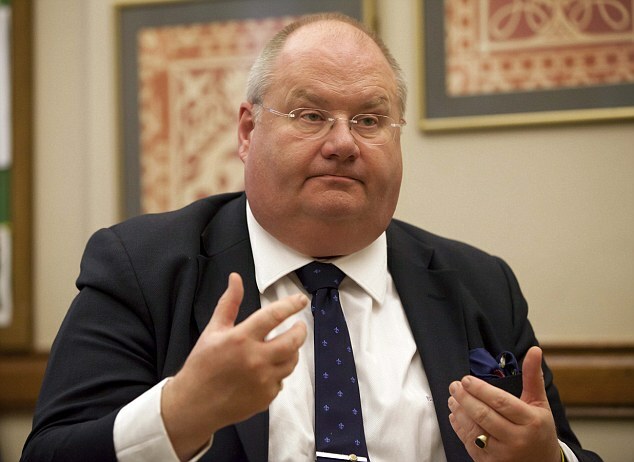 Pickles continued: “To describe the murder of six million Jewish people like this frankly beggars belief. I am all for debate and freedom and speech but this passes into a new dimension.” Pickles appears to have acted in tandem with the Campaign Against Anti-Semitism, a rather sinister organization that has called on Bristol University to dismiss Dr Gould. The Campaign Against Anti-Semitism is an obsessive and neurotic organization which places the authorities under almost constant pressure to increase securities for the Jewish population or, in its own words, “we hold the authorities’ feet to the fire, even taking them to court when necessary.” The Campaign Against Anti-Semitism has been holding the feet of Bristol University to the fire, and will presumably continue to do so until Dr Gould finds herself unemployed. It’s clear looking at these comments that they are fairly anodyne. Rather than arguing that Jews exert ‘privilege,’ or suggesting that the Holocaust narrative is itself a tool of privilege, Gould’s argument was merely that the Holocaust narrative was given pride of place in Jewish history and identity, and was useful to Jews and to the State of Israel in particular. Such comments are problematic to those at the core of the Jewish establishment because they acknowledge that Jewish influence/power and Jewish victimhood narratives are intertwined. By calling the latter into question, the former is placed in jeopardy. While there is nothing truly new here, the language and socio-political trajectory of ‘progressivism,’ involving terms like ‘privilege,’ is clearly unpredictable and uncontrollable enough to wound even those that wield them. The participation of LICRA in the prosecution highlights the increasing complexities that Jews will face as the vanguard of multiculturalism, in increasingly diverse nations that will play host to extremely volatile and ersatz ethnic alliances. In particular, Jews are caught between their strong desire to continue enabling the ongoing mass immigration into White nations of Third World, and often Muslim, populations, and their increasing fears surrounding their own group security. In this respect, it is interesting that LICRA initiated criminal proceedings against Bensoussan along with a co-plaintiff, the Collective Against Islamophobia. The Collective Against Islamophobia has been accused — including by LICRA itself — of issuing anti-Semitic propaganda against Prime Minister Manuel Valls, whose wife is Jewish. What’s best for the Jews? They can’t decide, and they are biting themselves.